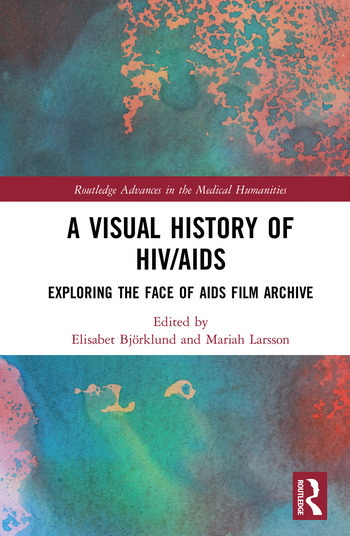 The Face of AIDS film archive at Karolinska Institutet, Sweden, consists of more than 700 hours of unedited and edited footage, shot over a period of more than thirty years and all over the world by filmmaker and journalist Staffan Hildebrand. The material documents the HIV/AIDS pandemic and includes scenes from conferences and rallies, and interviews with activists, physicians, people with the infection, and researchers. It represents a global historical development from the early years of the AIDS crisis to a situation in which it is possible to live a normal life with the HIV virus. This volume brings together a range of academic perspectives – from media and film studies, medical history, gender studies, history, and cultural studies – to bear on the archive, shedding light on memories, discourses, trauma, and activism. Using a medical humanities framework, the editors explore the influence of historical representations of HIV/AIDS and stigma in a world where antiretroviral treatment has fundamentally altered the conditions under which many people diagnosed with HIV live. Organized into four sections, this book begins by introducing the archive and its role, setting it in a global context. The first part looks at methodological, legal and ethical issues around archiving memories of the present which are then used to construct histories of the past; something that can be particularly controversial when dealing with a socially stigmatized epidemic such as HIV/AIDS. The second section is devoted to analyses of particular films from the archive, looking at the portrayal of people living with HIV/AIDS, the narrative of HIV as a chronic illness and the contemporary context of particular films. The third section looks at how stigma and trauma are negotiated in the material in the Face of AIDS film archive, discussing ideas about suffering and culpability. The final section contributes perspectives on and by the filmmaker as activist and auteur. This interdisciplinary collection is placed at the intersection of medical humanities, sexuality studies and film and media studies, continuing a tradition of studies on the cultural and social understandings of HIV/AIDS. Elisabet Björklund is a postdoctoral researcher at the Department of History of Science and Ideas at Uppsala University and Senior Lecturer in Film Studies at Linnaeus University, Sweden. Mariah Larsson is a Professor in Film Studies at Linnaeus University, Sweden.